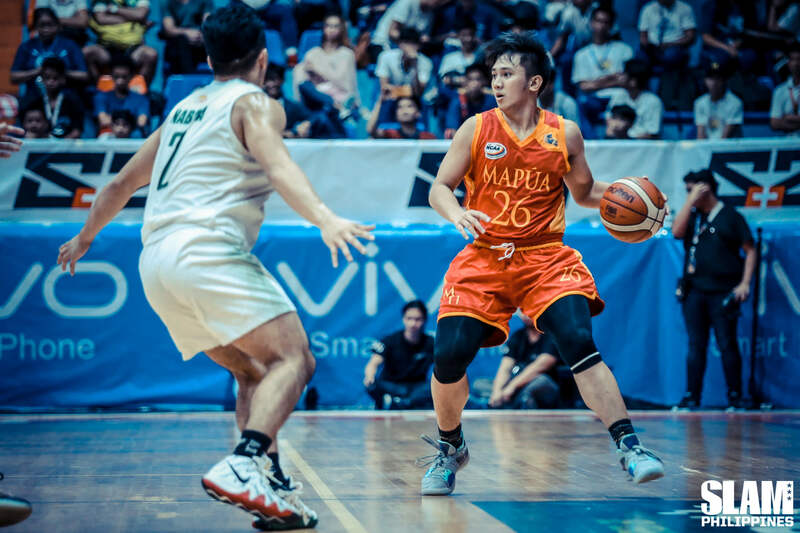 The Mapua Cardinals pulled off a stunning upset of the Benilde Blazers to earn their first winning streak of the season. They used a searing first half run to build a cushion and executed well down the stretch to secure the win. Laurenz Victoria led the way with 16 points, six rebounds and six assists. Warren Bonificio and Justin Serrano added 12 points each. The Cardinals stifled the Blazers’ attack in the first half. They forced Benilde to 15 turnovers which allowed them to get out an running. Their entire offensive attack in the first half was built on the buckets they got on the break. Mapua scored 23 fast break points as they jumped out to a 14-point lead heading into the half. Unfortunately for the young Cardinals, the Blazers found their footing in the second half. Led by Justin Gutang, James Pasturan and Rob Nayve, Benilde slowly chipped away at the deficit. The Blazers eventually took the lead midway through the final period on a free throw from Unique Naboa. The Cardinals wouldn’t allow the game to slip away. Justin Serrano powered his way in the paint for Mapua. He scored six straight points in an 8-0 reponse to give his team a seven-point lead heading into the final minutes of the game. The Blazers got to within two points in the last minute of the game. But Bonifacio answered with a dagger jumper and a key stop to preserve the win. 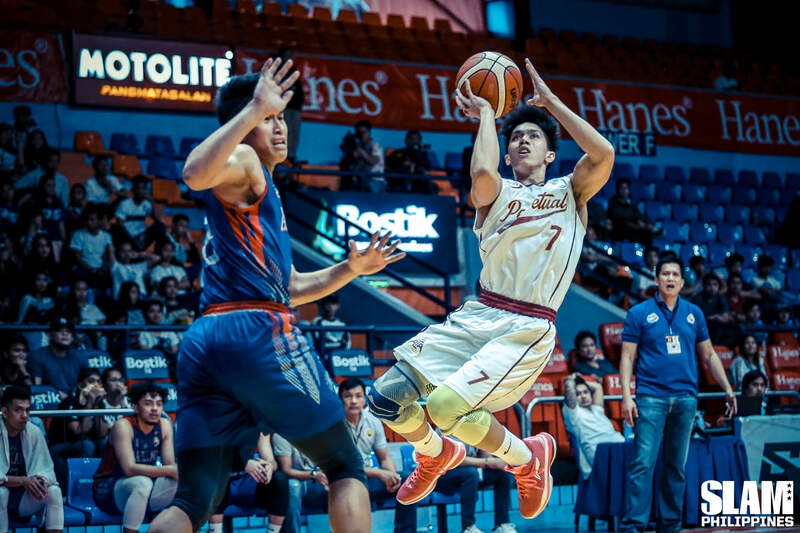 The Perpetual Altas used a dominant defensive effort to shut down the Arellano Chiefs. They held Arellano to the lowest output of the season at 45 points. Prince Eze toyed around with the opposing big men en route to 20 points and 19 boards. Rey Peralta added 10 points while Jelo Razon and Jeff Coronel combined for 17. The Chiefs were still within striking distance in the first quarter. Perpetual got a balanced effort in the first 10 minutes of the game as five players got on the board. Arellano relied on the six points of Michael Canete in the first period to keep them afloat and behind by only five points. In the second quarter, the well went dry for the Chiefs. The Perpetual defense clamped down on them and limited them to just four points for the entire second quarter. Arellano only mustered 14 points in the first half with Canete and Levi Dela Cruz as the only players to score on field goals. The Perps jumped out to a 19-point halftime lead. Arellano tried to get back in the game in the second half but their offense just couldn’t get a rhythm against the Perpetual defense. The Altas did enough in the second half to maintain their double-digit lead the rest of the way. The Chiefs shot a dismal 18% from the field. They scored on only 13 makes the entire game. The Altas break their three game losing streak and get back on track for a run at the Final Four.